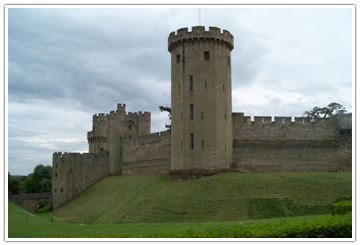 Warwick England: The town of Warwick is situated near the center of England, 8 miles from Stratford-upon-Avon. This Castle is the finest medieval castle in England and is one of the most popular tourist destinations in the United Kingdom. Many forms of medieval entertainment are staged at the castle throughout the year. Some people pronounce it as Warrick castle. There is a beautifully proportioned conservatory, which acts as a focal point in the landscape, was built in 1786 by a local mason, William Eborall. Peacock Garden is a large number of peacocks. 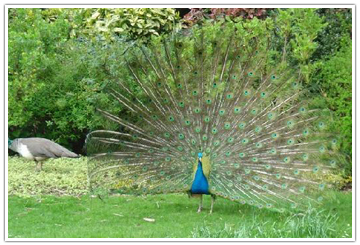 If you are lucky, you will be rewarded with a view of a male peacock with fully opened feathers. It’s set in the center of the ancient town of Warwick. People have worshipped on this site for over 1,000 years, and have left evidence of their faith in the architecture and decoration of the building – one of the largest and most interesting Churches in England. Its famous for its Beauchamp Chapel, Medieval/ Tudor tombs, and tower. 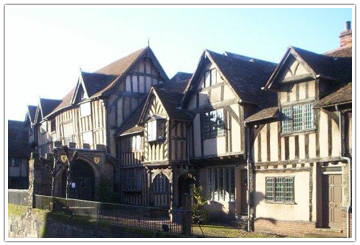 The Guildhall, now the Lord Leycester Hospital, is a set of timber-framed buildings dating from the 14th century. The unique chantry chapel, galleried courtyard, superb Great Hall, and Guildhall form what Robert Dudley, Earl of Leicester, established as an old soldier’s home in 1571. The location of the building, built into the ancient walls and West Gate of the town, is unique. Today, ex-servicemen and their wives live in modernized flats and in return give their services towards the running of the Hospital. As per the county’s website, Warwick offers to visitors today the opportunity of exploring not only the architectural gems of our medieval history but also those of our more recent past and the modern vibrant life of the county town of Warwickshire. Warwick is located in the rural Heart of England. It is close to Stratford-upon-Avon, Royal Leamington Spa, and Kenilworth. The closest cities are Coventry and Birmingham. By Car: M40 Motorway, junction 15 then A429 to Warwick. By Coach: Regular services of National Express. Tel: 08705 808080. By Train: Warwick train station is 10 minutes walk from the town center and Castle. Trains are available to Birmingham, Stratford-upon-Avon, London (Paddington and Marylebone) and intermediate stations. Use Leamington Spa for connections to Banbury, Coventry, Oxford and intermediate stations. Tel 08457 484950. Castle is walking distance from the train station.